The Argentine Air Force (Spanish: Fuerza Aérea Argentina, or simply FAA) is the national aviation branch of the Armed Forces of the Argentine Republic. In 2010 it had 14,600 military personnel and 6,900 civilian personnel. The Argentine Air Force Emblem. The Air Force's history begins with the establishment of the Army Aviation Service's Escuela de Aviación Militar (Military Aviation School) on 10 August 1912. Several military officers were amongst the pioneers of Argentine aviation, including Jorge Newbery, a retired Argentine Navy officer. The school began to turn out military pilots who participated in milestone events in Argentine aviation, such as the crossing of the Andes mountains. In 1927 the Dirección General de Aeronáutica (General Directorate of Aeronautics) was created to coordinate the country's military aviation. In that same year the Fábrica Militar de Aviones (Military Aircraft Factory, FMA), which would become the heart of the country's aviation industry, was founded in Córdoba. By 1938–39 Argentina's air power had about 3,200 staff (including about 200 officers), and maintained about 230 aircraft. About 150 of these were operated by the army and included Dewoitine D.21 and Curtiss P-36 Hawk fighters; Breguet 19 reconnaissance planes; Northrop A-17 and Martin B-10 bombers, North American NA-16 trainers, Focke-Wulf Fw 58 as multi-role planes, and Junkers Ju 52 and Fairchild 82 transports. About 80 were operated by the navy and included the Supermarine Southampton, Supermarine Walrus, Fairey Seal, Fairey III, Vought O2U Corsair, Consolidated P2Y, Curtiss T-32 Condor II, Douglas Dolphin and Grumman J2F Duck. 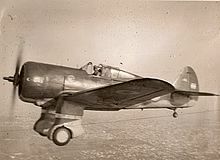 By the 1940s there were several air units in the Army and the Navy; the first step towards an independent force came on 11 February 1944 with the establishment of the Aeronautical Command, which would go on to become the Argentine Air Force on 4 January 1945, an independent force on par with the Army and the Navy. Immediately after the end of World War II, in which the Argentine Air Force took no part, it began a process of modernization, incorporating aircraft such as the Gloster Meteor jet fighter, thus becoming the first air force in Latin America equipped with jet-propelled aircraft. In addition, a number of Avro Lincoln and Avro Lancaster bombers were acquired, creating a powerful strategic force in the region. The Air Force, with former Luftwaffe officers as consultants and German technicians, also began to develop its own aircraft, such as the Pulqui I and Pulqui II, making Argentina the first country in Latin America and the sixth in the world to develop jet fighter technology on its own. Also locally developed aircraft, like the I.Ae. 22 DL trainer and the I.Ae. 24 Calquin tactical bomber, were added to the inventory. In 1952 the Air Force began flight to supply the Antarctic scientific bases using ski-equipped C-47s and establishing Marambio Base on 25 September 1969. On 11 April 1970 they began landing C-130 Hercules aircraft, when the TC-61 commanded by Commodore Arturo Athos Gandolfi was the first airplane to land in Marambio, and the Fokker F-28 Fellowship presidential aircraft T-01 Patagonia is reported to be the first jet to have landed at Marambio, on 28 July 1973. and since the 1970s Twin Otters are also deployed. On October 1973 the FAA launched Operation Transantar, achieving the first trans-Antarctic three-continental flight in history when a C-130 flew between Rio Gallegos; Marambio, Argentine Antarctica; Christchurch, New Zealand and Canberra, Australia. Arrival of F-86 in September 1960, "Operation SABRE"
In the 1960s new aircraft were incorporated, including the F-86F Sabre jet fighter and the Douglas A-4 Skyhawk used for ground-attack. (U.S. Air Force Major Manuel "Pete" Fernandez, a Spanish-speaking Sabre ace who shot down 14 MiGs over Korea in an F-86F, was dispatched to the Mendoza airbase from 1960-1962 to personally train Argentine pilots flying that model.) During the 1970s the Air Force re-equipped itself with modern aircraft, including Mirage III interceptors, IAI Dagger multi-role fighters (Ex-Israeli, copy of the Mirage V), and C-130 Hercules cargo planes. A counter-insurgency airplane, the Pucará, was also used in substantial numbers. The Falklands War (Spanish: Guerra de las Malvinas/Conflicto del Atlántico Sur), took a great toll on the Air Force, which lost 60 aircraft. After the war, due to the deteriorating economic situation, international opposition and political distrust of the military, the Air Force was denied the resources needed to replace the war losses. This, coupled with diminishing budgets, led to a period of reduced activity and growing materiel obsolescence. After the war Britain imposed an arms embargo on Argentina, which was discontinued in the 1990s but British pressure has prevented so far the acquisition of modern fighter planes and equipment from Western countries. After attempts to acquire surplus IAI Kfirs or F-16As failed for economic and political reasons, the United States military sold Argentina 36 A-4AR Fightinghawks, a refurbished and upgraded version of the A-4 Skyhawks used in the war. Other equipment was bought: 23 US Army surplus OV-1 Mohawks, 22 Ex-Israeli IAI Dagger, 2 C-130B and 1 Lockheed L-100-30. The FAA has been involved in United Nations peacekeeping missions around the world. They sent a Boeing 707 to the 1991 Gulf War. Since 1994 the UN Air contingent (UNFLIGHT) in Cyprus under UNFICYP mandate is provided by the FAA, having achieved 10,000 flight hours by 2003 without any accidents. The FAA has also since 2005 deployed Bell 212 helicopters to Haiti under MINUSTAH mandate. In early 2005 the top seventeen brigadiers of the Air Force, including the Chief of Staff, Brigadier General Carlos Rohde, were sacked by President Néstor Kirchner following a scandal involving drug trafficking through Ezeiza International Airport. Kirchner cited failures in the security systems of Argentine airports (which were overseen by the National Aeronautic Police, a branch of the Air Force) and cover-ups of the scandal; it later became known that many government agencies, among them the Interior Ministry, the Customs Administration and the Secretariat of State Intelligence knew about the drug trafficking. The primary concerns of the Air Force as of 2010[update] are the establishment of a radar network for control of the country's airspace, the replacement of its older combat aircraft (Mirage III, Mirage V) and the incorporation of new technologies. The possibility of purchasing surplus French Air Force Mirage 2000C fighters, like the option chosen by the Brazilian Air Force, has been considered. Since the 1990s the FAA has established good relations with its neighbours, the Brazilian and Chilean Air Forces. They annually meet, on a rotation basis, in the joint exercises Cruzex in Brazil, Ceibo in Argentina and Salitre in Chile. In 2007 an FAA FMA IA 58 Pucará was converted to use a modified engine operating on soy-derived bio-jet fuel. The project, financed and directed by the Argentine Government (Secretaría de Ciencia Tecnología e Innovación Productiva de la Nación), made Argentina the second nation in the world to propel an aircraft with biojet fuel. The purpose of the project is to make the FAA less reliant on fossil fuels. As of 2010[update] budgetary constraints continued, leading to the disbanding of the Boeing 707 transport squadron and maintenance problems for half of the C-130 Hercules fleet. This was particularly evident when, in a matter of days in March, the same C-130 aircraft could be seen, in addition to their routine missions, travelling 3 times to Haiti, 9 times to Chile (in both cases delivering humanitarian aid) and also doing a resupply airdrop to the Argentine southernmost Antarctic base Belgrano II. In August 2010 a contract was signed for two Mi-17E helicopters, plus an option on a further three, to support Antarctic bases although no official destination for them have been released yet and is possible that they will be assigned to the Argentine Army Aviation. The FAA is seeking to replace its ageing force with a more capable and more serviceable modern aircraft. The acquisition of Spanish Mirage F1Ms, IAI Kfir Block 60s and Saab Gripen E/Fs was considered, but as of February 2015, all of those deals appear to have stalled; The Mirage F1 deal was scrapped by the Spanish government in March 2014 after pressure of the UK to not assist in FAA modernization over tensions between the countries over the Falkland Islands. The UK has also managed to veto the sale of Gripen E/Fs, as 30% of the Gripen's parts are manufactured there. The deal with Israel has reportedly stalled for technical and political reasons. China has reportedly offered JF-17/FC-1 or Chengdu J-10 to Argentina. The two countries have formed a working group to look into the transfer of 14 aircraft. Russia had also offered to lease 12 Su-24 strike aircraft to the FAA, but Jane's reported that the Su-24 would not be very useful to the FAA and that "it would appear that any proposed transfer of such aircraft is likely the result of Russia playing political games with the UK over the continuing crisis in Ukraine.". All Mirages were officially decommissioned on 30 November 2015. The A-4s were grounded as of January 2016[update] for lack of spares; in any case only 4-5 were airworthy with the rest in storage at Villa Reynolds. When Barack Obama visited in March 2016, Air Force One was accompanied by US Air Force F-16s because Argentina could only offer Pucarás and Pampas for air defense. According to Sputnik news on January 27, 2017, Argentina has sent a commercial offer to Russia to purchase at least 15 Mig-29 Multirole Fighters. This was done to begin efforts to modernize its airforce and restore a true air defense capability. Deputy Director of the Russian Federal Service for Military-Technical Cooperation (FSMTC) Anatoly Punchuk, has stated that Russia is preparing a response to the FAA. The Argentine Air Force is one of the three branches of the Argentine military, having equal status with the Army and the Navy. The President of Argentina is Commander-in-Chief of all three services. The Air Force is headed by the Chief of the General Staff (Jefe del Estado Mayor General), directly appointed and removed by the President. The Air Force Chief of Staff usually holds the rank of Brigadier General, the highest rank of the Air Force. The Chief of Staff is seconded by a Deputy Chief of the General Staff and three senior officers in charge of the Air Force's three Commands: the Air Operations Command, the Personnel Command and the Materiel Command. The Air Operations Command (Comando de Operaciones Aéreas) is the branch of the Air Force responsible for aerospace defense, air operations, planning, training, technical and logistical support of the air units. Subordinate to the Air Operations Command are the Air Brigades (Brigadas Aéreas), the Air Force's major operative units, as well as the airspace surveillance and control group (Grupo VYCEA, Argentine Air Force). A total of eight air brigades are currently[when?] operational. Brigades are headquartered at Military Air Bases (Base Aérea Militar (BAMs). One Air Group (Grupo Aéreo), which operates the aircraft assigned to the Brigade. The Air Group is divided into a variable number of Air Squadrons. Air Groups may be named according to their primary mission, for example an air group specialized in fighter operations receives the designation of Fighter Group (Grupo de Caza). Currently the Air Force includes three Fighter Groups (4th, 5th and 6th), one Attack Group (3rd), one Transport Group (1st) and three plain Air Groups (2nd, 7th and 9th). The 7th Air Group operates all the helicopters of the Air Force, while the 2nd includes a small reconnaissance unit as well as light transport aircraft. 9th Air Group is a light transport unit. One Technical Group (Grupo Técnico), in charge of the maintenance and repair of the Brigade's aircraft. One Base Group (Grupo Base), responsible for the air base itself, weather forecasting, flight control, runway maintenance, etc. Base Groups also include Base Flights (Escuadrillas de Base), generally made up of two or three liaison aircraft. The Personnel Command (Comando de Personal) is responsible for the training, education, assignment and welfare of Air Force personnel. Under the control of the Personnel Command are the Military Aviation School (which educates the future officers of the Air Force), the Air Force Non-Commissioned Officer (NCO) School and other educational and training units. The Materiel Command (Comando de Material) deals with planning and executing the Air Force's logistics regarding flying and ground materiel. Materiel Command includes "Quilmes" and "Río Cuarto" Materiel Areas (repairing and maintenance units) and "El Palomar" Logistical Area. Officers wear their rank insignia in their sleeves, in the pattern depicted below. There are also shoulderboards with the same insignia (albeit in gray) for the ranks between Ensign and Commodore. General officers wear different shoulder boards. 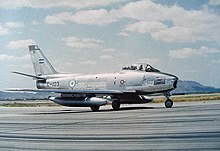 Wikimedia Commons has media related to Air force of Argentina. ^ "Argentina hace publica la cantidad de personal militar en sus fuerzas". zona-militar.com. 19 March 2018. Archived from the original on 28 April 2018. Retrieved 19 March 2018. ^ Schnitzler, R.; Feuchter, G.W. ; Schulz, R., eds. (1939). Handbuch der Luftwaffe [Aviation Manual] (in German) (3rd ed.). Munich and Berlin: J. F. Lehmanns Verlag. p. 13. ^ "Douglas DC-3 & C-47 en la Fuerza Aérea Argentina - Avialatina". YouTube. Archived from the original on 28 July 2013. Retrieved 24 December 2014. ^ "Primer aterrizaje de un Hércules C-130 en Marambio". Archived from the original on 29 May 2013. Retrieved 24 December 2014. ^ Gustavo Lepez. "TODA LA AVIACION - MALVINAS ARGENTINAS -". Archived from the original on 26 December 2014. Retrieved 24 December 2014. ^ Marambio Station Archived 2014-01-07 at the Wayback Machine on the webpage of the French Polar Teams. 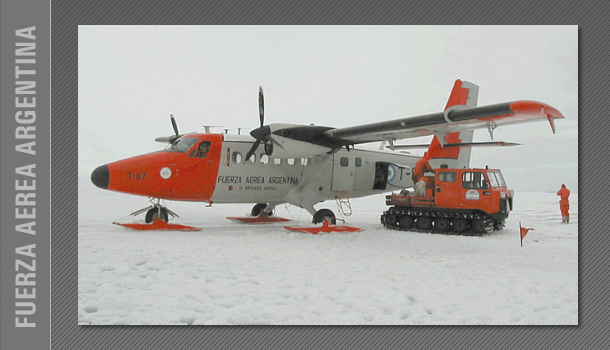 ^ "Aniversario Aereo de la Antartida Argentina". Archived from the original on 24 December 2014. Retrieved 24 December 2014. ^ "The First Three-Continental and Transantarctic Flight". Fin del Mundo. Sitio Oficial de la Provincia de Tierra del Fuego, Antártida e Islas del Atlántico Sur. Archived from the original on 1 October 2013. ^ "Primer Vuelo Transantártico Tricontinental. Operación "Transantar" (04 al 10-Oct-1973)" (in Spanish). Fundación Marambio. Archived from the original on 28 February 2009. ^ "- Fuerza Area Argentina". Archived from the original on 7 April 2012. Retrieved 24 December 2014. ^ "VII Brigada Aerea". Archived from the original on 24 December 2007. Retrieved 24 December 2014. ^ "Zona Militar". zonamilitar.com.ar. Archived from the original on 2010-09-03. ^ "Iniciativa para reequipar a las FF.AA". Archived from the original on 19 August 2010. Retrieved 24 December 2014. ^ "Argentina in negotiations for Israeli Kfir fighters". Flightglobal.com. Archived from the original on 2015-08-22. Retrieved 2015-08-18. ^ "Argentina's Jet Fighter Replacement Options Narrow". Defensenews.com. 30 November 2014. Retrieved 18 February 2015. ^ "Argentina and China agree fighter aircraft working group". IHS Jane's 360. 5 February 2015. Archived from the original on 22 February 2015. Retrieved 18 February 2015. ^ Porfilio, Gabriel (1 December 2015). "Argentina retires Dassault Mirage fleet". IHS Jane's 360. Archived from the original on 8 December 2015. Retrieved 8 December 2015. ^ Porfilio, Gabriel (28 January 2016). "Argentinian MoD confirms all fighters grounded". IHS Jane's Defence Weekly. Archived from the original on 4 April 2016. Retrieved 11 April 2016. ^ Aguilera, Edgardo (27 January 2016). "No queremos una Armada que no navegue ni una Fuerza Aérea que no vuele". Diario Ambito Financiero (in Spanish). Archived from the original on 22 April 2016. Retrieved 1 April 2016. ^ "La llegada de Obama desnudó la triste realidad de la FAA". El Sol. 21 March 2016. Archived from the original on 9 April 2016. Retrieved 11 April 2016. ^ Sputnik. "Argentina Sends Russia Commercial Offer to Buy 15 MiG-29s". sputniknews.com. Archived from the original on 2017-01-30. Retrieved 2017-02-01. ^ a b c d e f g h i j k Esteban Brea (4 August 2016). "ORBAT FAA (I): Antecedentes, Brigadas Aéreas, Bases Militares y Escuadrones". Gaceta Aeronáutica. Archived from the original on 23 June 2018. Retrieved 9 December 2017. ^ a b c AirForces Monthly. Stamford, Lincolnshire, England: Key Publishing Ltd. February 2017. p. 20. ^ Esteban Brea (8 August 2016). "ORBAT FAA (II): Institutos de Formación". Gaceta Aeronáutica. Archived from the original on 10 December 2017. Retrieved 9 December 2017. ^ a b c d e f g h i j k l m n o p "World Air Forces 2017". Flightglobal Insight. 2017. Archived from the original on 29 July 2017. Retrieved 3 March 2017. ^ "Fuerza Aerea Argentina T-04". airfleets.net. Archived from the original on 5 June 2014. Retrieved 28 December 2014. ^ "World Air Forces 2004". Flightglobal Insight. 2004. Archived from the original on 25 October 2014. Retrieved 17 January 2014. ^ "Fuerza Aerea Argentina VIP S-76". Archived from the original on 2 April 2015. Retrieved 1 January 2015. ^ "Argentina receives further Texan IIs, assigns Tucanos to border patrol mission. - Jane's 360". www.janes.com. Archived from the original on 2018-11-16. Retrieved 2019-01-02. ^ Rivas, Santiago (14 August 2017). "Argentina to receive first Texan IIs in October, buy Bell 412s". IHS Jane's 360. Archived from the original on 14 August 2017. Retrieved 14 August 2017.
International Institute for Strategic Studies (2010-02-03). Hackett, James, ed. The Military Balance 2010. London: Routledge. ISBN 1-85743-557-5.